Anything remotely space-themed is up my street at the best of times, but when it’s sartorial too, I just can’t help myself. 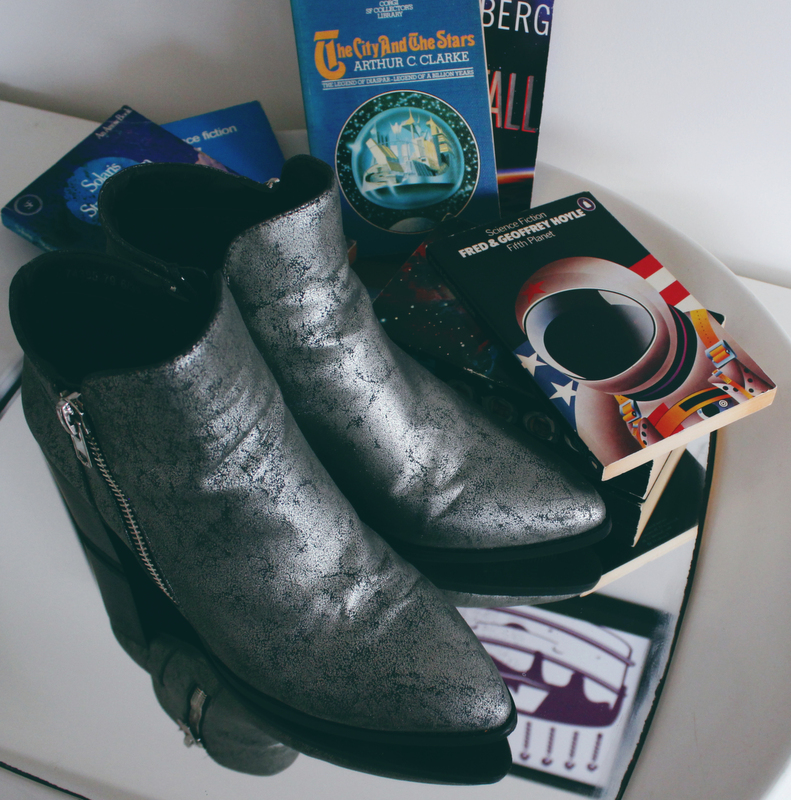 Having been scouring for a perfect pair of silver boots for some time, I knew these were ‘the ones’, when I recently came across them in Primark. 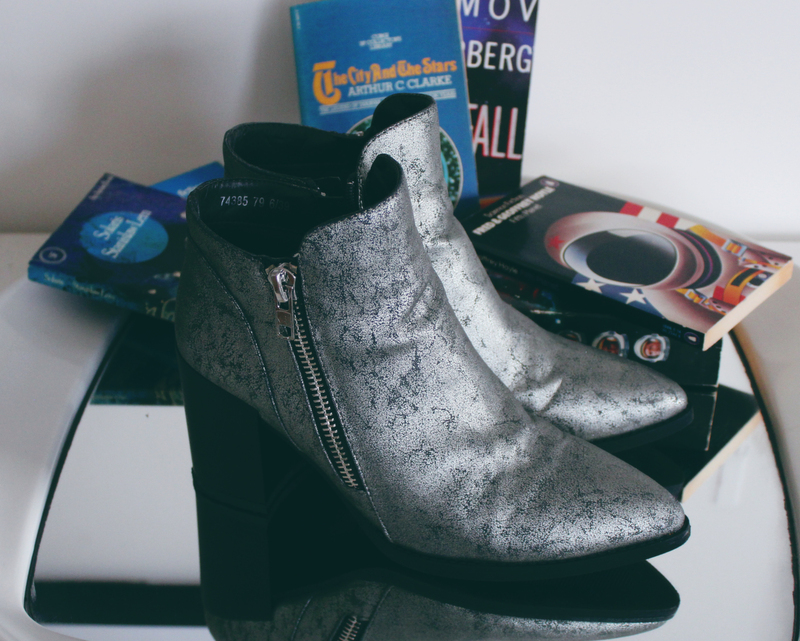 To say that these are Bowie-esque is an understatement, I can’t believe that these Ziggy Stardust style shoes are just £18. While I could have spent in excess of £150 online on similar pairs, I was holding out for the right style at the right price, as realistically I’m not going to be wearing these as often as my go-to black pairs. 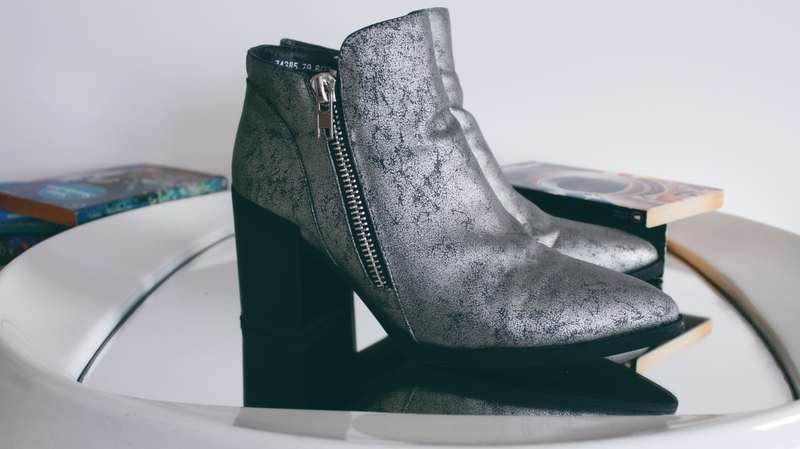 If though, you love adding a pop of metallic to an outfit, or want to dress up a more casual look- these are perfect, and the price is on-point too. The cracked effect makes them more luxe looking than their price tag, but grunges down the silver to a casual level so they’re a great addition to laidback looks.